Learn how to draw an owl that is cute, colorful, and beaming with personality! 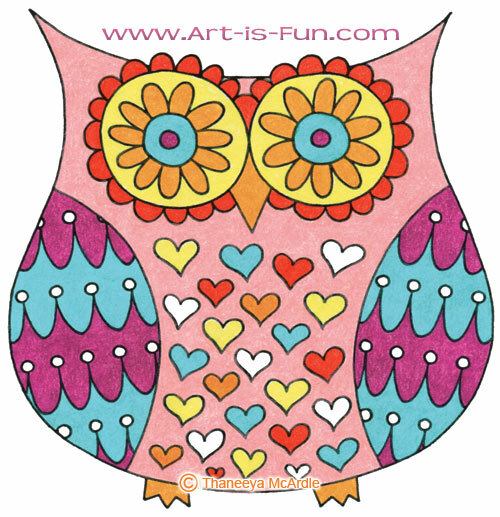 In this step-by-step drawing lesson, I'll show you how to draw a whimsical owl that you can decorate with bright colors and patterns. Owls are fun to draw because of their wide eyes and fabulous feathers. They look great when you fill them with detail. 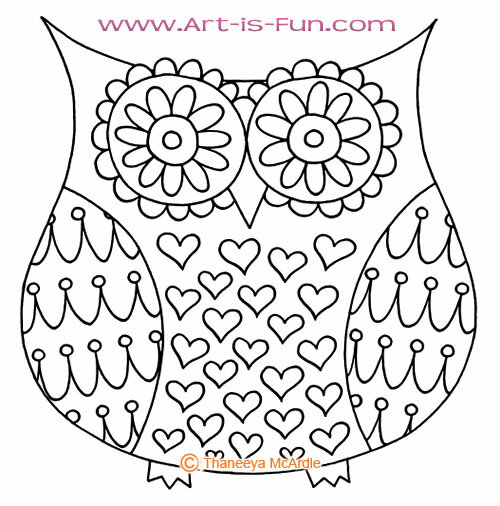 You can really have a lot of fun with this lesson and use different colors and designs each time when decorating the owl's wings, head, eyes and body. The possibilities are endless! 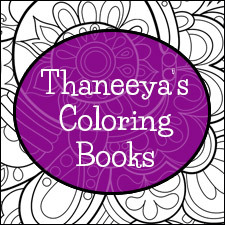 This lesson is an excerpt from Draw Groovy, my 64-page book containing easy step-by-step lessons on how to draw cute, whimsical images decorated with fun patterns and colorful designs. 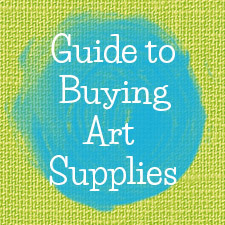 You can use any medium you want: pencil, colored pencils, markers, crayons, pens, gel pens - whatever you have on hand! 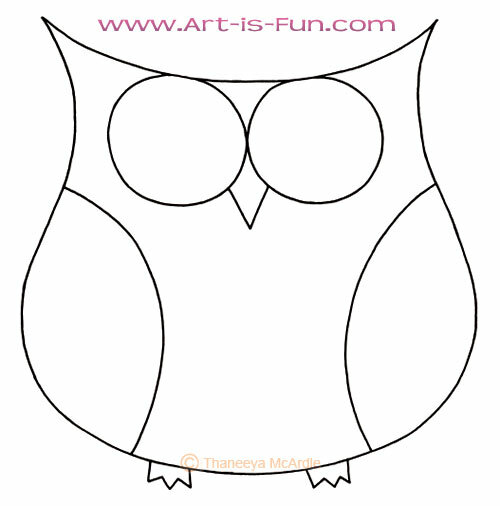 You can draw your owls on any type of paper, such as drawing paper, printer paper, cardstock, colored paper, etc. You can also draw your owl on canvas and paint in the details! Ready? Come along and learn how to draw an owl! At the top of your paper, draw a gently curving line that goes from left to right. 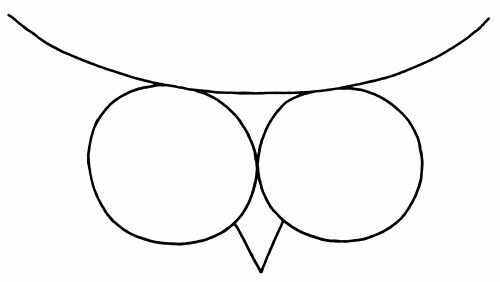 Below the curved line, draw 2 large circles in the center for the owl's eyes. In between the owl's eyes, draw a 'v' for a beak. Draw a gently curving line for the body, kind of like a U-shape that tapers at the top. Draw a pair of feet and 2 curved lines for wings. Now it's time to add groovy decorations! 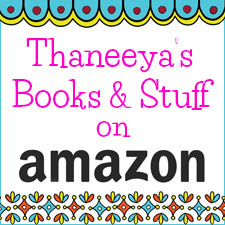 Decorate the eyes and wings with shapes and patterns, like dots, flowers, waves, etc. Add more decorations to the owl's body. Let your imagination run wild! 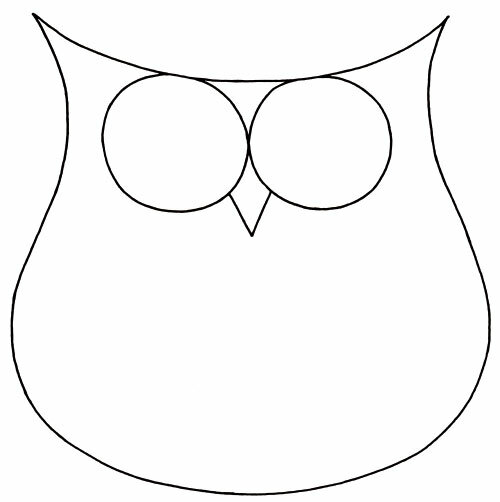 Here are a bunch of other examples of how you can create the same basic owl outline, and then fill your owl with different shapes, patterns and colors. Each owl is unique! The owls below were created with a variety of media, including: markers, colored pencils, pens, crayons and oil pastels. As you can see, the two bottom ones were drawn on colored paper, so in some places I let the color of the paper show through as part of the owl. If you want some help and inspiration with drawing patterns, check out my lesson on How to Draw Patterns! This lesson is provided for educational purposes only. Please don't copy my owls exactly and try to sell them as your own, because that would be copyright infringement. Copying for purely educational purposes is okay, as long as I am properly credited as the original artist if you want to post the image online. Follow this lesson to create an owl with your own unique combination of colors and designs, that suits your style and personality. Make it your own! I hope you enjoyed this step-by-step lesson on learning how to draw an owl! Click here to download a free PDF of this lesson on how to draw paisley as it appears in my new book, Draw Groovy! 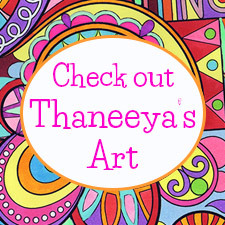 Click here to explore the wonderful world of whimsical art!